Synonymous with luxury, comfort and class, Mercedes Benz is a prestigious German vehicle manufacturer that prides itself on innovating. Founded in 1926 but with roots going back to 1886, the company played a key part in the automotive revolution. One of Mercedes Benz's founders, Karl Benz, is generally regarded as the creator of the first petrol-powered car; the Mercedes Benz brand built on this legacy by continuing to invest in new technology and offering a premium driving experience. Are you the lucky owner of a Mercedes Benz car? To ensure your Mercedes Benz handles like it should, you need to have the correct tyres fitted. You should always check your car's manual carefully before making any purchases, but we've compiled a short guide to Mercedes tyres to help get you started. This compact car has been around since 1997 and gives drivers a comfortable ride on city streets. Ideal for families looking for an upmarket vehicle that still works well on the school run, the A-Class has gone from strength to strength throughout its various facelifts. Tyre sizes range from 155/70R15 to 235/35R19. Essentially the A-Class's big brother, the B-Class offers a little more space and is a highly practical MPV rather than a hatchback. Look for sizes between 195/65R15 and 225/45R18 for your B-Class. A popular line of compact executive cars, the C-Class provides drivers with a comfortable and fun drive. Tyres range from size 185/65R15 to 265/30R19. The E-Class is a mid-sized executive model that is available in a variety of versions, including saloon, coupé, estate and cabriolet. Tyre sizes go from 175/70R14 to 255/35R19. The G-Class has truly stood the test of time, having been part of Mercedes' line-up since 1979. Offering both luxury and true off-road power, this mid-size 4x4 is a strong and reliable machine. Tyre sizes range from 255/75R15 to 295/40R21. This mid-sized SUV has lots of features to make driving extra comfortable, whether you're on city streets or off-roading. It's ideal for both off-road fans and families with safety at the forefront of their minds. Choose tyres between 225/75R16 and 295/35R21. As Mercedes Benz's flagship luxury car, the S-Class offers the ultimate in comfort, style and advanced technology. Perfect for the high rolling executive, the S-Class can be seen on the streets of financial centres throughout the world. Tyres range from 205/65R15 to 255/40R20. This supercar is the first Mercedes Benz to be designed by AMG in-house. Its sleek, modern styling, powerful engine and high-tech features make it a much sought-after performance model. The recommended tyre size is 265/35R19. SLK stands for 'Sportlich' (sport), 'Leicht' (light) and 'Kurz' (short), an extremely appropriate name for this compact roadster. This car is only available as a convertible, so it's made for riding around on a hot summer's day with the wind blowing through your hair. Tyre sizes range from 205/60R15 to 235/35R19 for this model. The AMG GT is a two-door, two-seater grand tourer coupé that offers speed, smooth handling and excitement. Comfort can also be expected from this sporty number, with excellent interior styling and all the mod cons you expect from a top Mercedes Benz model. Look for tyres from 255/35R19 to 265/35R19. For more information about tyres for Mercedes Benz cars, get in touch with Road Runner Mobile Tyres today. We stock an enormous range of tyres and serve customers throughout most of the major metropolitan areas of Melbourne, Sydney and Brisbane. We bring our tyre replacement and repair services straight to you, so you don't have to waste time coming to see us. With the tyre experts at Road Runner Mobile Tyres, you can rest assured your Mercedes Benz is in the best hands. The hassle free way to service your tyres! No need to move, we'll come to you - at home, work or even while you shop. We know you're busy so we work around your schedule. Name a time and we'll be there. Premium brands, the best service and competitive prices, that's value for money. Good, fast service, competitive and easy to deal with. NIRVANA for a busy tradesman. Robbo was brilliant and my car feels brand new. So convenient having them changed at my house while I worked.. Would recommend to anyone. Great service, very convenient, and the price as cheap as any drive in business, would recommend these guys any day, I will be using Road Runner Mobile Tyres next time I need tyres. Thanks very much Road Runner Mobile Tyres! Extremely professional, friendly service, punctual (in fact early) and reasonably priced. Soooo refreshing! Excellent customer service. Call back and prompt arrival. Great communication. Repaired the tyre - didn't make us buy a new one even though I thought we needed it. Couldn't be happier - service and rep (Lindsay) top class and will certainly recommend your organisation to all. Great service from the Road Runner Mobile Tyres team - highly recommended. Great professional service..on time every time and extremely competitive on price. Why go anywhere else when the Road Runner Mobile Tyres team can come to you ? Best service I've had in a long, long time. Wonderful service at a great price and really convenient as they came to the house. Thank you for going beyond the call of duty ! Impeccable, professional service. I'll recommend you to anyone. Great service would highly recommend for anyone needs new tyres. Turned up on time as well. Thank you again for the great service and I wish Road Runner Mobile Tyres all the best for the future! We needed new tyres urgently to be able to travel home to Canberra safely in wet weather. To have a mobile service like this available was absolutely fantastic. The whole team were very professional and completed the job promptly. Thanks guys. Thanks for the awesome service I was very impressed with your service and the price quoted. Not having to drive to a dealership to get tyres replaced was huge relief. You guys need to get established up here in North Queensland. Thanks for the great service today. 4 new tyres on 2 hours notice on a Sunday and for a very reasonable price. Will recommend you guys for sure. Road Runner Mobile Tyres are a full service mobile tyre business and we supply, fit and balance new tyres. We also undertake wheel alignments on site. Our mobile vans bring the new tyres with them to the job site and remove the old tyres once the job is completed. Who is Road Runner Mobile Tyres? Road Runner Mobile Tyres are Australia’s largest mobile tyre business, operating 7 days a week in Melbourne, Sydney and Brisbane. SuperCheapAuto and Road Runner Mobile Tyres have joined forces to supply SuperCheapAuto customers with the best tyre solution possible. Are my tyres covered by warranty? Tyres purchased from this website will be either Kumho or Pirelli tyres, and information regarding both manufacturers is available on their web sites. What happens if I have ordered the wrong tyre size? You are strongly advised to double check the tyre size before confirming your order. In the event that the tyre size is incorrect, or the pattern is not appropriate, a fee may be charged to cover costs of replacement and also the cost of the correct tyre may be different from the tyre ordered. Is there any additional costs? 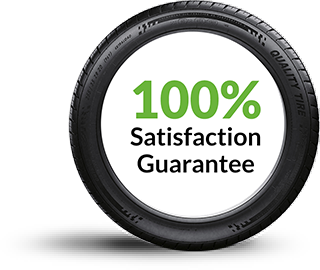 There are no additional costs to those paid when ordering the tyres, unless additional tyres or services are ordered once Road Runner Mobile Tyres are onsite. Can wheel alignments be done on-site? Road Runner Mobile Tyres do wheel alignments onsite. All that is required is a reasonably flat surface that is dry for us to undertake a wheel alignment. Wheel alignments are recommended for any purchase of 4 tyres. What happens if I miss my appointment time? Road Runner Mobile Tyres will confirm appointment times 24 hours prior to the agreed fitting time. In the event that the appointment time is not able to be kept, a subsequent time will be scheduled. How long does it take to do the work? In the event that we are fitting 4 tyres and doing a wheel alignment, we allow 2 hours for this work. For 2 tyres, we allow 1 hour once we are onsite. What type of vehicles can have tyres fitted? Road Runner Mobile Tyres can fit all tyres up to 24 inch in rim size. This covers all passenger cars, 4WD’s and most light commercial vehicles. Road Runner Mobile Tyres does not fit truck, tractor or motor-bike tyres. We're here for you 7 Days a Week! At Road Runner Mobile Tyres we are proud of our service standards. If you are not 100% satisfied, call us and we will do everything we can to rectify any issue. © 2015 Road Runner Mobile Tyres Pty Ltd. All rights reserved.